Wakesurfection provides quality coaching for wakesurf enthusiasts in Hong Kong. We have been wakeboarding and wakesurfing in Hong Kong for many years, so we understand the needs of the working professional who wants to maximise their weekends on the water. Great question. Wakesurfing is the coolest new water sport which is great for both wakeboarders, wakeskaters and surfers. You get a hard and consistent wave from our boat which is great for surfers who can't get waves in Hong Kong. We are also great for wakeboarders who want the next challenge or who want something low impact and relaxing. Starting off will be something different for wakeboarders since your feet are not attached to the board. Don't worry, we will teach you how to get up without using bindings. For surfers, this will be different as well since you don't need to paddle and push off your board to stand up. Wakeskaters will probably have the easiest time starting off since this works exactly the same as wakeskate. Errol Bong has been a wakeboarding and wakesurfing enthusiast for many years. Errol is an Emergency First Response trainer and is qualified for to teach CPR. 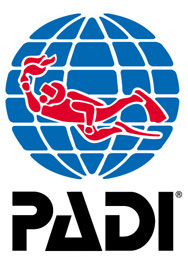 He is an open water scuba instructor and can teach PADI open water, advanced, rescue and nitrox scuba diving courses. Nina picked up wakesurfing as an alternative to wakeboarding and now carves up the wake in her personally autographed Phase 5 Drew Danielo Pro Carbon board.